I know what you’re thinking… if Resellers are 2016’s biggest losers, how can the platforms they use to resell be winners? It’s a simple matter of volume. As resale value drops on prized kicks, and Nike shoes lose value faster than Nike stock, people are liquidating their collections. Resellers are also starting to favor broadly used resale platforms as their previous avenues dry up. What does that mean? These guys are plucking their 10-20% vig on more and more sales. 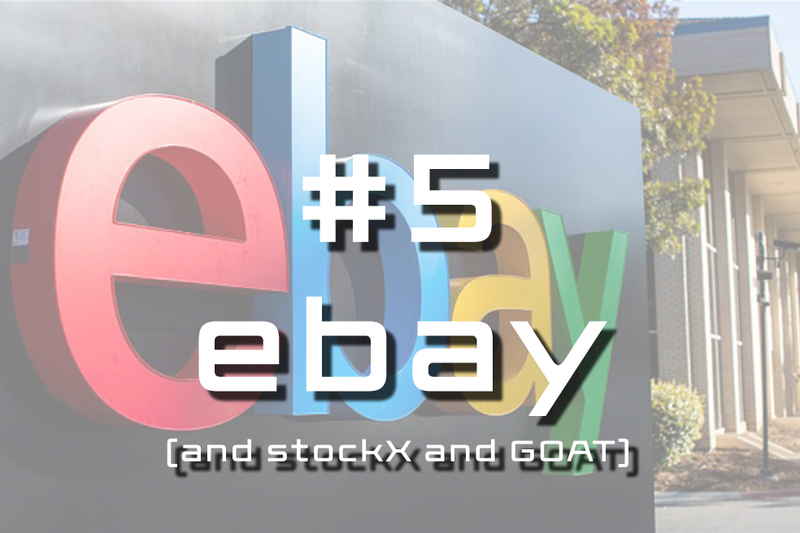 Some smaller boutiques are starting to sell their GR stock early on ebay for less than MSRP to grab more sales. 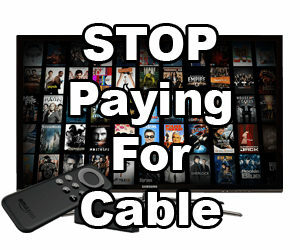 All in all, lower prices but higher volume continues to pay off for the middle men. Supreme was 2015’s big winner, this year we’re handing it over to Japanese designer A Bathing Ape, or BAPE as you may know them. 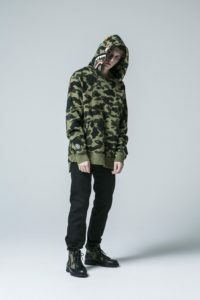 Steady and well thought out collaborations between BAPE and a number of top brands continue to sell well while most collaborations barely move. 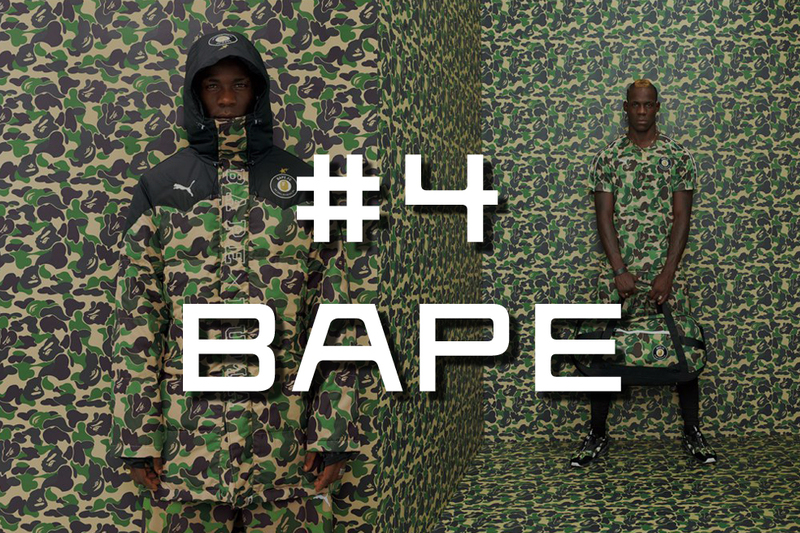 It doesn’t seem to matter if you slap BAPE on an Adidas, Reebok or Puma, it’s going to sell and that’s saying something. The resurgence of Camo in fashion hasn’t hurt the brand either. As long as BAPE keeps their collaborations limited and thoroughly considered they should easily carry some of the momentum over to 2017. 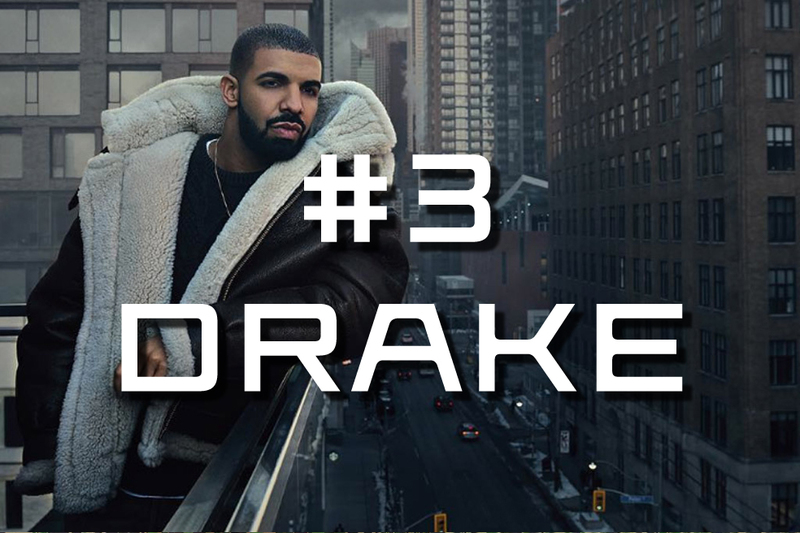 Our #3 winner of 2016 is Drake… now wait, just hear me out here. We’re not even going to talk about his Views album, or whatever the hell is happening with Jennifer Lopez. Just from a fashion basis Drake was able to do something that no one else could. He was able to make Jordan’s desirable. 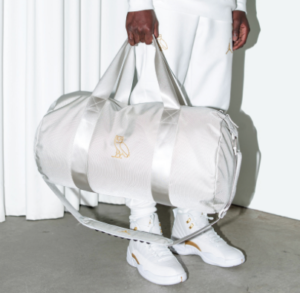 The White OVO Jordan X first dropped late 2015, but has since been followed up by two more kicks and a clothing collection to go with each that found it’s way into the hypebeasts hands. The OVO Canadian Goose collection also sold incredibly well, especially given it’s relatively high, almost Yeezy Season prices. It’s fair to say in 2016 Drake has officially established himself in the sneaker industry. The second biggest loser in 2016 was Nike so it only makes sense that our #2 biggest winner is their competition. Adidas may have made some mistakes last year. Their $200,000,000 contract with James Harden isn’t likely to really pay off, but their $10,000,000 deal with Kanye West sure has. No, we’re not talking about Yeezys. Kanye’s real value is the halo effect his products have had on other Adidas releases. When Yeezus donned a pair of Ultra Boosts 2 years ago they took off and never slowed down. The NMD should win 2016’s Sneaker MVP Of The Year award. An almost constant churn of new colorways and styles hasn’t slowed down the NMD hype train very much. Adidas has seemed to find that perfect blend of availability and exclusivity that continues to elude Nike. 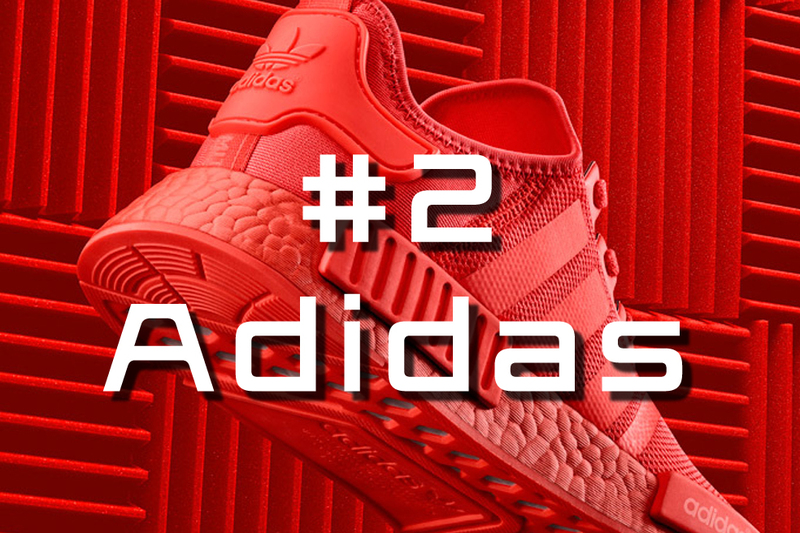 Sure Nike continues to rake in the cash, but while the swoosh saw their sales cut in half, Adidas has seen double digit growth throughout 2016. If that’s not a winner, then we don’t know what is. Drumroll please… the biggest winner of 2016 was…. YOU! 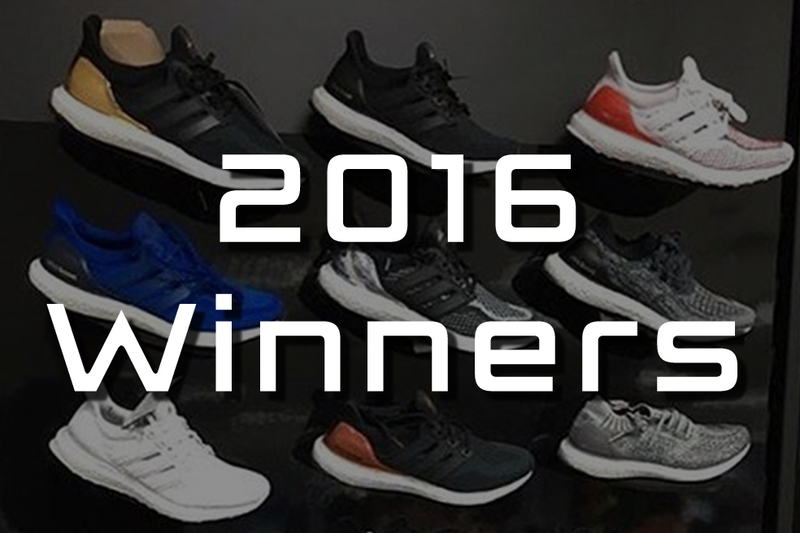 Sneakerheads, and I mean true, honest to goodness, love of the game sneakerheads won 2016. Resellers are dying, OG Jordans are ending up in outlets below retail, high hype, triple value hyped up kicks will flip on saturday but find their way on #RetailTuesday. People who were in it for the thrill, or just trying to stay with the times are selling off their collections for next to nothing and who scoops them up? 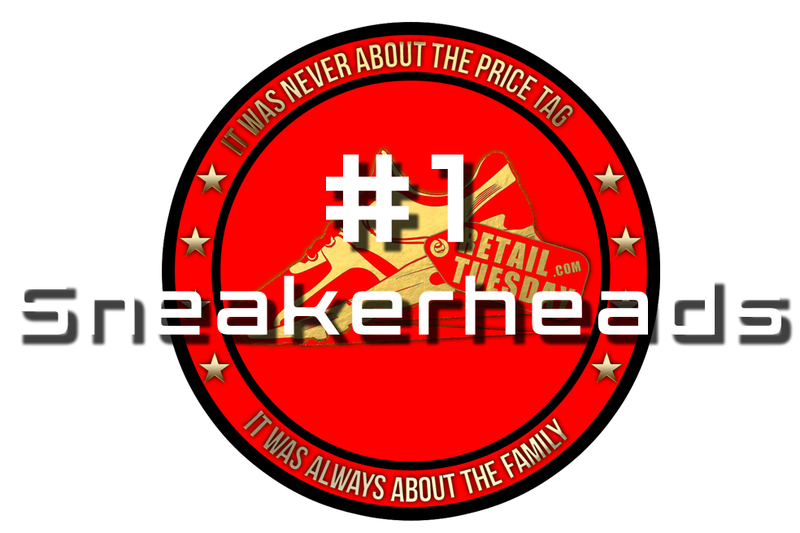 So here’s to you sneakerheads! 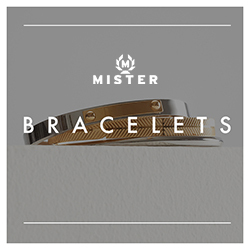 Merry Christmas, Happy New Year, go ahead and cop what you like. Double up, you can afford it now! Conclusion – So 2016 was an amazing year… or a terrible one. I guess it depends on what side of the fence you’re on. One thing is for sure, the whole game changed. Flexing became passé, bots went from bane to boon to bane again. 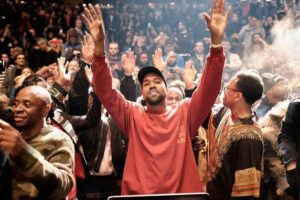 Kanye West is still the villain you love to hate, and reluctantly hate to love. NikeLab is just a cute idea from 2014 while Adidas’s Boost technology has taken the world by storm. Honorable mentions to UNheardof for changing the way people think of Yeezy raffles and to Rihanna for revitalizing Puma’s entire image.